Glashütte Original keeps expanding its successful Pavonina collection with new models offering an wide range of colours and a taste of emerging trends. 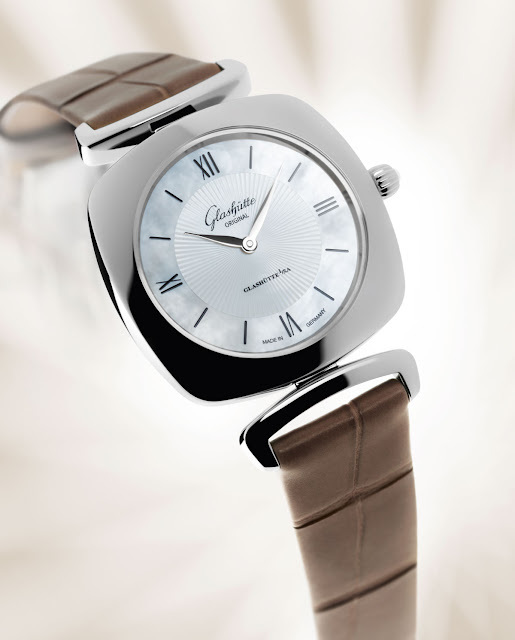 By combining dials, case metals, lugs, and bracelets, Glashütte Original was able to create such a large variety of models that any woman should be able to find its favourite. In contrast to previous models, the new versions present Roman numerals on their iridescent natural mother-of-pearl dials. The gently curved, anthracite coloured font was expressly developed for the Pavonina line, and lends the Roman numerals – usually very sober and serious – a feminine and contemporary character. Crafted in the watchmaker's own dial manufactory in Pforzheim, they are printed with exceptional care on the paper-thin mother-of-pearl dials, and set off clearly by the light ground. 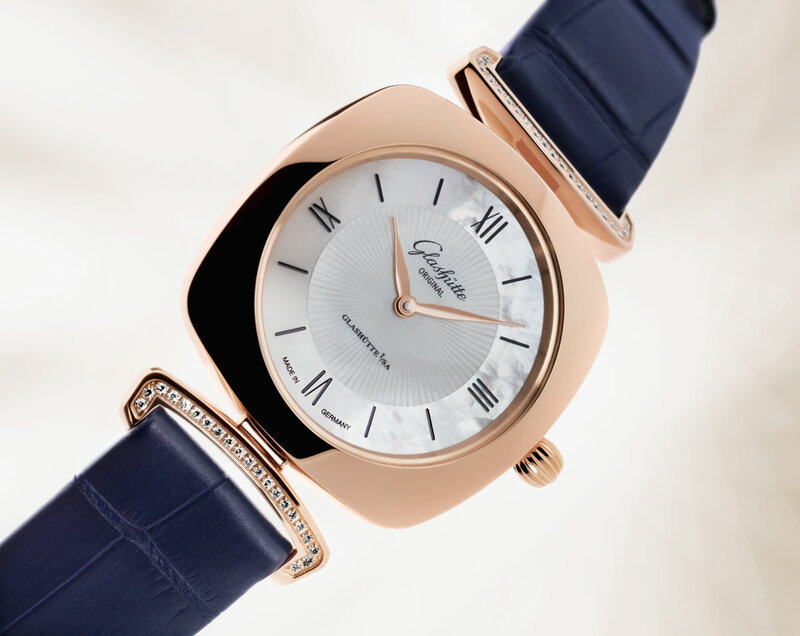 In the centre of the dial a graceful guilloché decoration adds intriguing reflections. 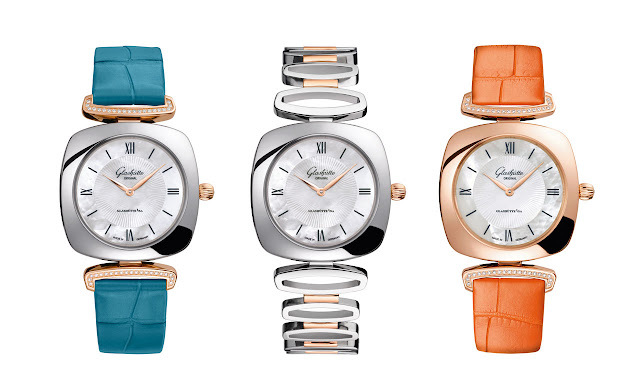 The new Pavonina references are complemented by a set of bracelets in vibrant colours: from velvety versions in taupe or rose-coloured Louisiana alligator leather or golden beige calfskin to Louisiana alligator leather in luminous red, anthracite, turquoise, pink, orange or dark blue. They complement and enhance either red gold or stainless steel cases, depending on the model. Thanks to a sophisticated quick-change system the exchange of one bracelet for another is easy and fast. Alternatively, the watches may also be fitted with elegant metal bracelets in stainless steel, red gold or bi-colour versions, which transform these reliable watches into jewelry pieces. 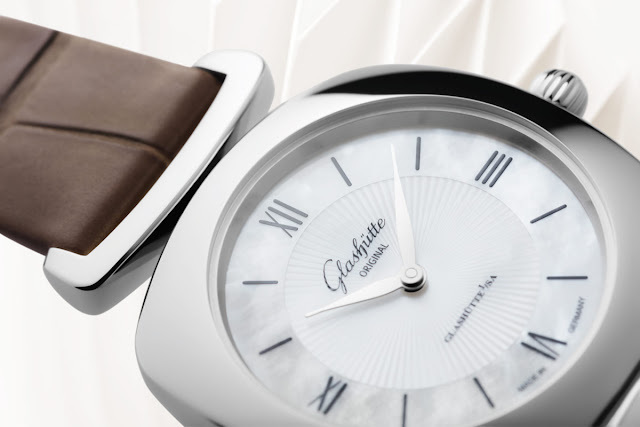 The cushion-shaped 31 mm x 31 mm case is available in stainless steel, red gold or in a mix of the two materials. 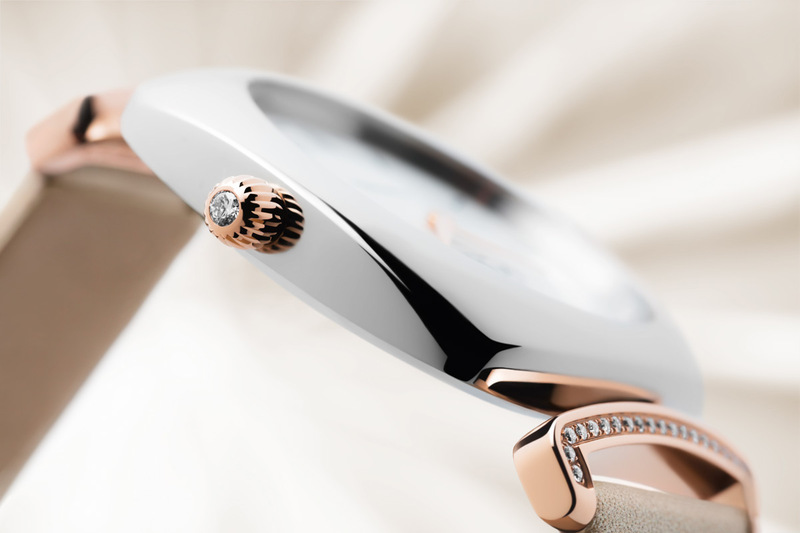 All models feature a fine cabochon atop the crown. 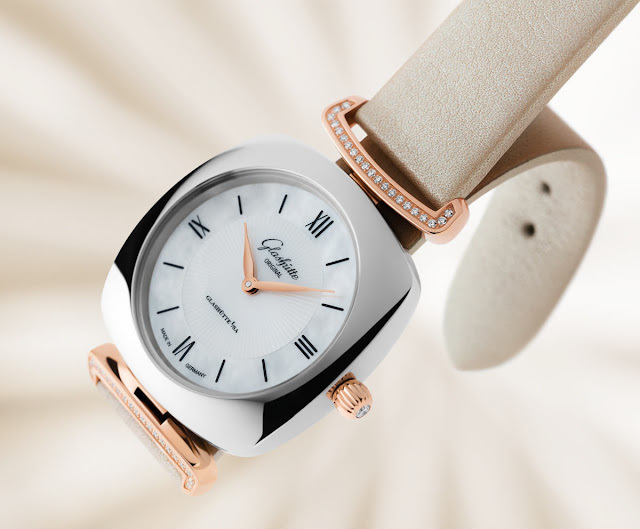 The flexible lugs ensure excellent comfort and can be set with diamonds to enhance the preciousness of these timepieces. Inside each Pavonina model the in-house developed 03-02 quartz movement delivers precision and stability. This movement features three-way protection from magnetic fields, which shields it securely against the influence of modern electronic devices. The polished case back provides sufficient space for individual engravings and personal dedications, a service that Glashütte Original Boutiques and official dealers are happy to offer. Although not visible, the movement is beautifully finished with the characteristic Glashütte stripes finish and is decorated with a engraved golden logo on a silver ground. Glashütte Original Pavonina, new 2017 models. 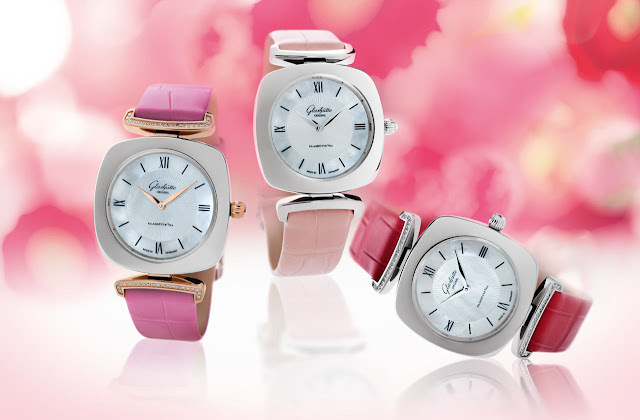 Glashütte Original keeps expanding its successful Pavonina collection with new models offering an wide range of colours and a taste of emerging trends. 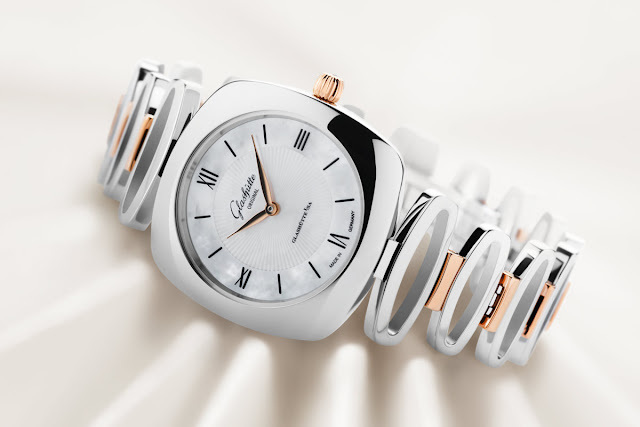 By combining dials, case metals, lugs, and bracelets, Glashütte Original was able to create such a large variety of models that any woman should be able to find its favourite. 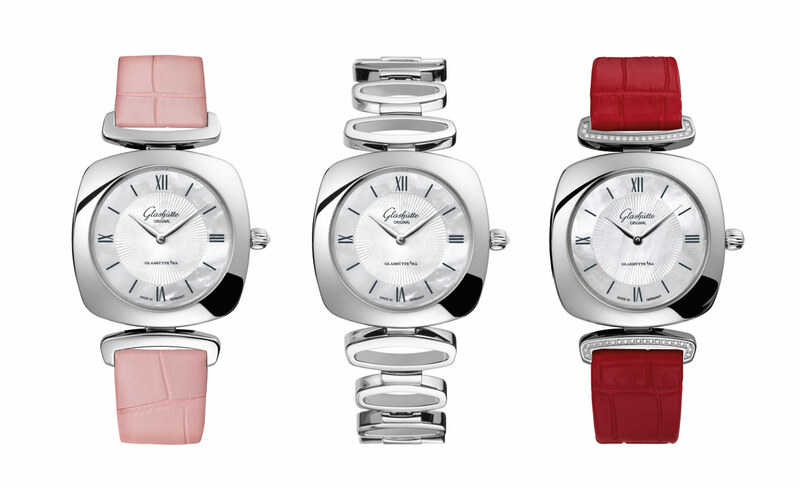 The new Pavonina references are complemented by a set of bracelets in vibrant colours. Prices starting from Euro 4,400.